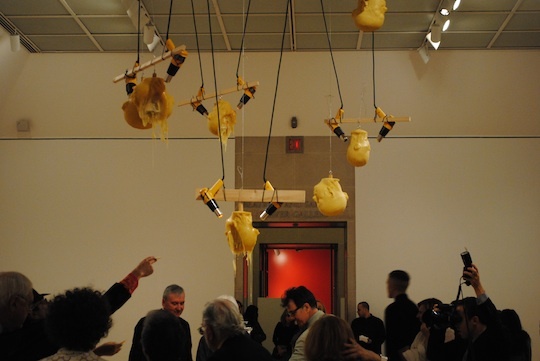 The museum's fifth floor galleries featured an installation inspired by Vito Acconci's 1972 work Seedbed. 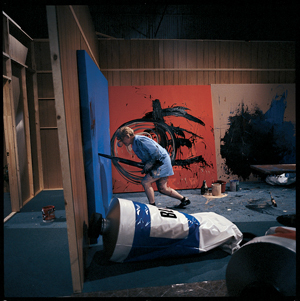 In the original, the artist hidden under a wooden ramp masturbated to the sound of visitors walking above him. 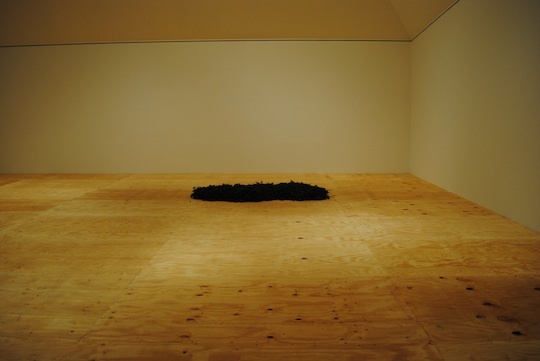 Last night guests climbed a similar ramp to a spot Rubell imagined Acconci would have hidden and planted a bed of carrots there. 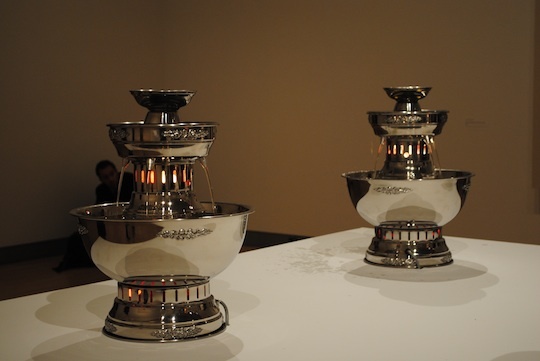 Guests pulled their carrot, then washed and dried them bent over metal tubs in an adjacent room. 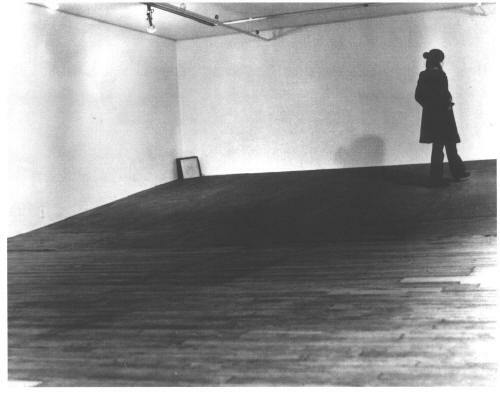 Vito Acconci's Seedbed. 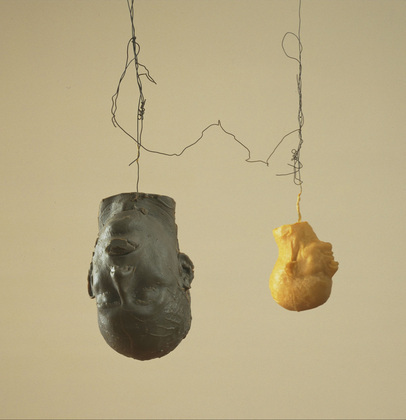 Original art photographs via the Brooklyn Museum program. 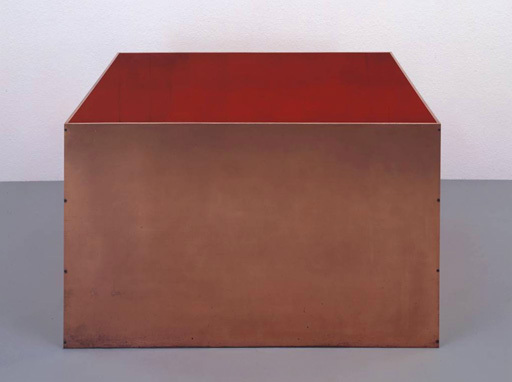 Donald Judd's minimalist Untitled inspired an ice bucket during cocktail hour. 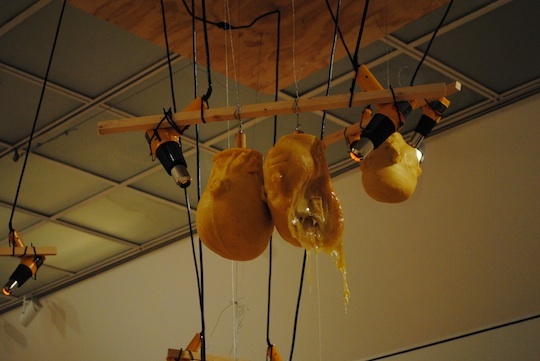 Bruce Nauman's wax Hanging Heads were reproduced in cheese and intertwined with heat lamps melting them over a table of crackers first in a slow trickle then fast falling chunks. 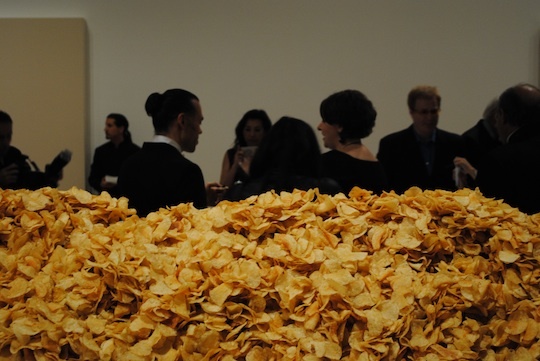 The tubes of paint from Paul McCarthy's 1995 Painter were the basis for a table of unlabeled paint tubes filled with pureed herbs and vegetables guests could squeeze over piles of chips piled high nearby. 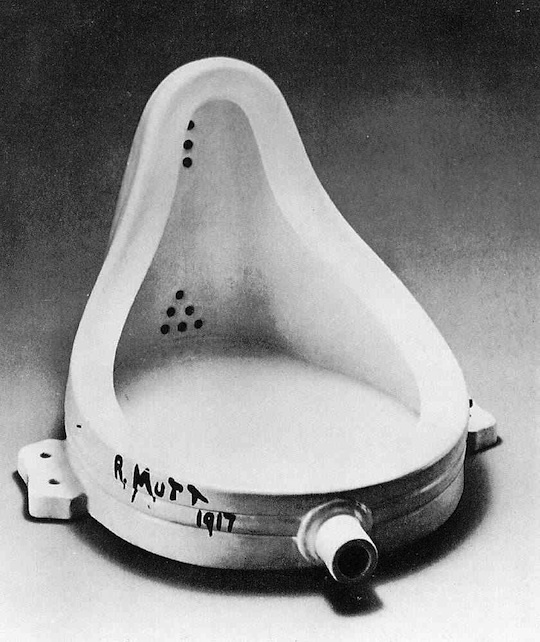 Marcel Duchamp's dadaist ready-made Fountain, a urinal turned on its side, inspired the champagne fountains on display at the back of the fifth floor galleries. 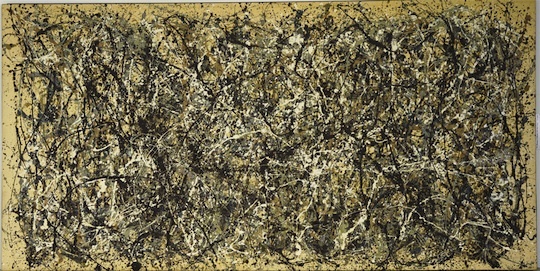 Jackson Pollock created his canvases by spilling paint over them, last night guests were encouraged to spill drinks out of blank canvases covering the perimeter of the upstairs galleries. 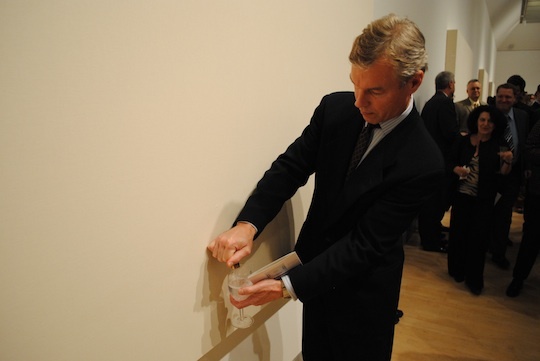 In lieu of bartenders, each canvas contained a tap from which the title of the painting could be poured: Lemonade, Bourbon, Rum and Coke, Gin and Tonic, Dirty Martini, Screwdriver, White Wine. 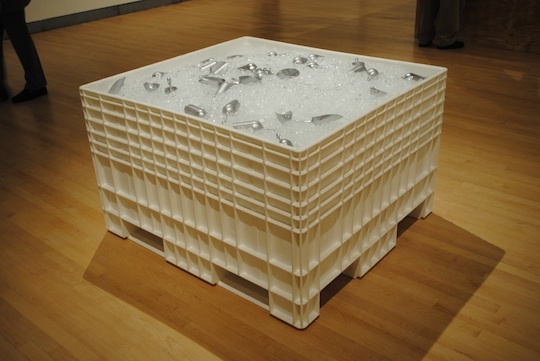 Inspiration for the banquet buffet came from Joseph Beuys' How To Explain Pictures to a Dead Hare. 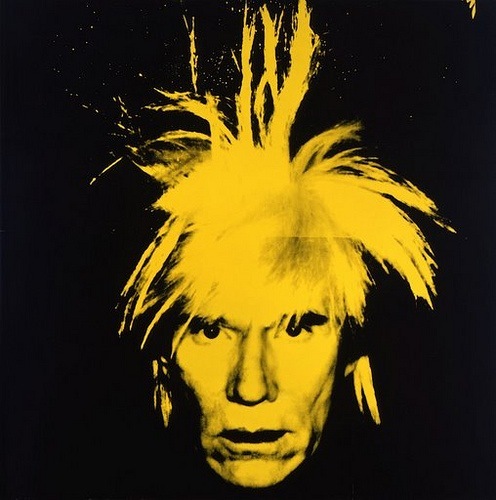 Asked if she received any advice from her star chef heavy guest list, Rubell was only told "Mario wanted first crack at the rabbits." 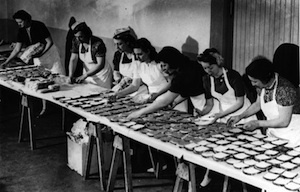 He and subsequent diners donned butcher coats and sliced their own bread, quartered their own rabbits, butchered whole pigs and cut roasts from the bone. 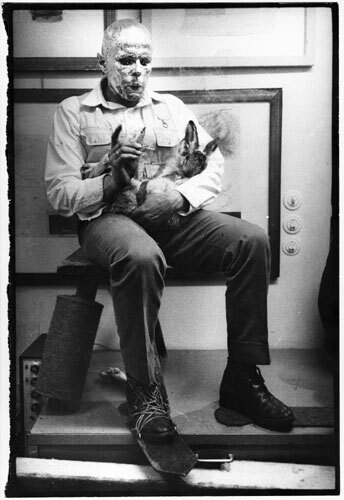 Joseph Beuys, How to Explain Pictures to a Dead Hare. 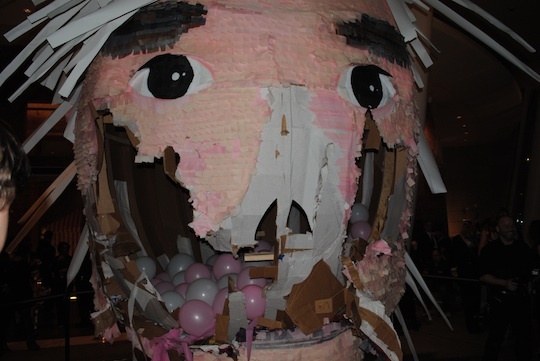 Andy Warhol's 1986 Self-Portrait was recreated as a twenty foot pinata hanged in the main lobby. 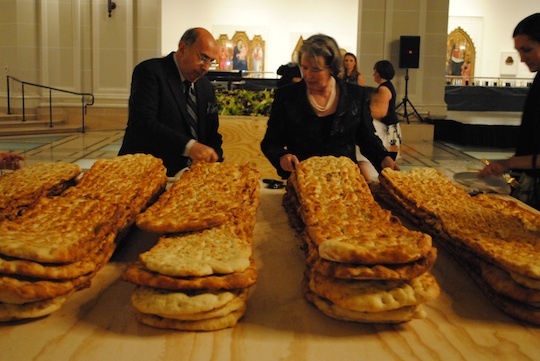 After dinner guests were offered baseball bats to break out a bounty of Hostess snack cakes.